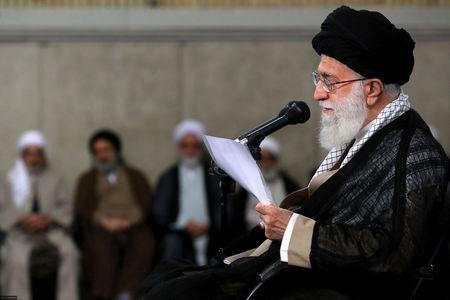 (Reuters) - Iranian Supreme Leader Ayatollah Ali Khamenei has admitted he made a mistake in allowing the country's foreign minister to speak to his U.S. counterpart during negotiations that led to a 2015 international nuclear agreement. Khamenei, who rarely admits in public to making errors, said he had done just that over the nuclear talks. "With the issue of the nuclear negotiations, I made a mistake in permitting our foreign minister to speak with them. It was a loss for us," he said. 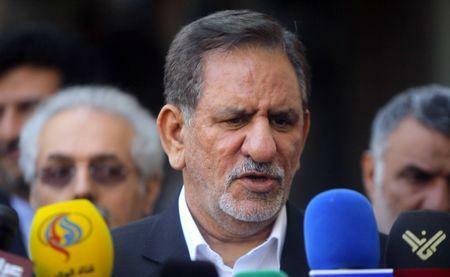 President Hassan Rouhani made similar comments to Jahangiri, although he did not specifically refer to the United States. "We will not let the enemy bring us to our knees," Rouhani said, according to state TV. "America itself took actions which destroyed the conditions for negotiation," Rouhani also said, according to the Islamic Republic News Agency (IRNA). "There were conditions for negotiation and we were negotiating. They destroyed the bridge themselves," he said. "If you're telling the truth then come now and build the bridge again."